A little MoroccanOil does the hair good! Feeling the hair blues? You are not the only one. Do you get severe static, flyaways, split ends and the, oh, so dreadful, dry scalp? Let’s start blaming things like the ever so changing weather and over washing for the disaster on our head. There are plenty of things we can do to help with this nightmare, like not going outside with wet hair, do not use blow dryers, straighteners and curling irons everyday (umm guilty, guilty oh and GUILTY), wash your hair in Luke warm water and do not wash your hair every day. Oh, and always make sure you have a scarf or chapeau covering your hair at all times. But, the main thing you CAN do to help relieve yourself from this nightmare is invest in good hair products. I am going to give you a little insight to my hair care routine when it comes to hydrating my locks. 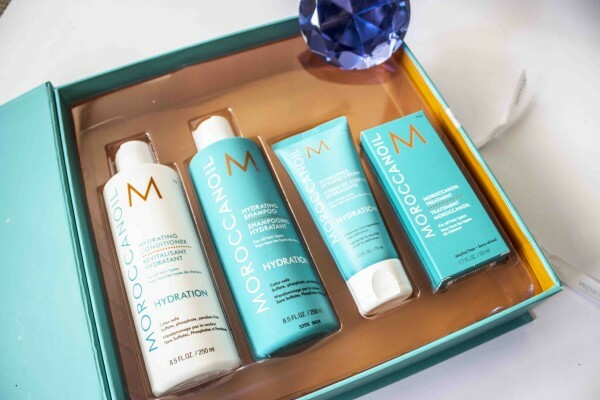 After that you can give a huge thank you to MoroccanOil and run to the nearest store and pick yourself up these products. 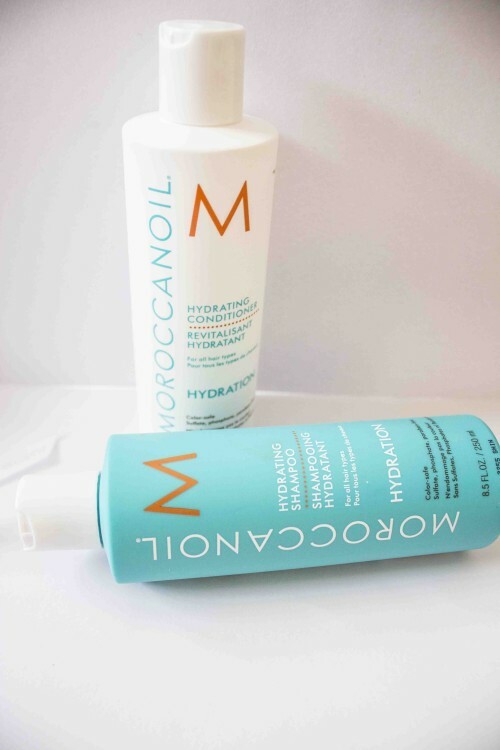 One of the main things you want to have is the MoroccanOil Hydrating shampoo and conditioner! 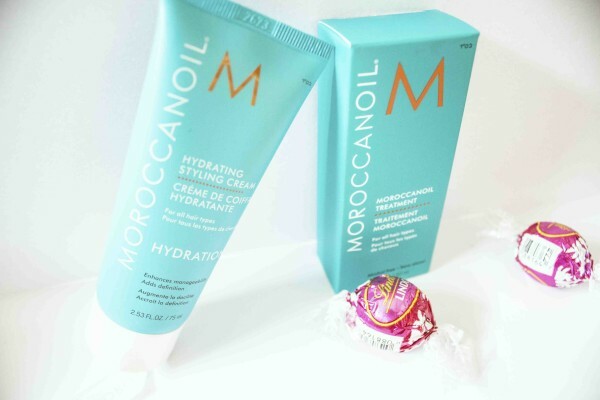 Moroccanoil Hydrating Shampoo and Moroccanoil Hydrating Shampoo helps infuse dehydrated hair with argan oil and replenishing nutrients. HOW TO USE: For the shampoo massage thoroughly into wet hair and scalp, then rinse! For the conditioner squeeze any access water out and from half way down your head apply the conditioner. Leave on for 2-3 minutes and then rinse! I am telling you, you will feel instant results. 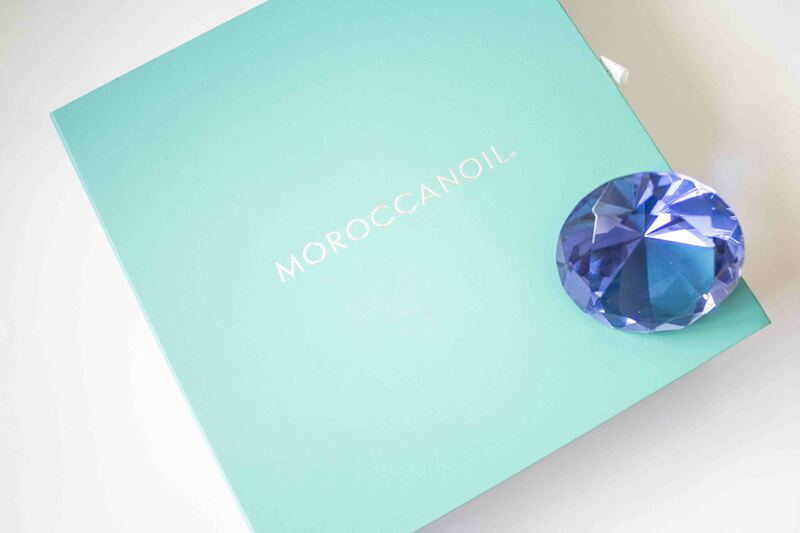 HOW TO USE: Apply the amount of the size of a dime to your hand to clean, towel-dried hair, from mid-length to ends. Blow-dry or let dry naturally. I also always apply it to dry hair everyday to help me with styling or the 30,000 split ends that I have no matter how much I cut my hair.